The Pope Speaks: What Caused the Great Apostasy? We have just finished reading The Benedict Option. This work traces the rise of false ideas, going back a step further than We did in Our own work: Passion of the Mystical Body of Christ. However, this is not the problem, because if we as Catholics had not also bought into some of these false ideas, the Great Apostasy would not have happened. A lot of time is wasted searching for and identifying the enemies of the Church. This time could be better spent in prayer, especially meditation, in reading Sacred Scripture and the Fathers of the Church. Having said this, you may be asking, why even consider the cause of the Great Apostasy at all? The world and even the Church has a serious disease, and as a physician of souls, it is Our duty to diagnose the patient and prescribe the cure. Jesus did this two thousand years ago and sent his own Apostles into the world as physicians of souls to go and teach all nations the truth. We could learn a lot by studying the Scriptures and learning how the Apostles. Once we have diagnosed the disease, then the treatment can be prescribed. And so what is the disease? And this is what caused the Great Apostasy, the disobedience of Catholics, especially pastors and bishops to the Pope. In this case, Pope Saint Pius X. Although Pope Saint Pius X provided many things to root out Modernism from among the ranks of the clergy, these were ignored, especially after his death. However, this is not the main case of disobedience. Recently a Traditionalist priest praised Saint Pius X for his work against Modernism, he missed what we are about to consider. In fact, We have seen only one Traditional priest, who ever addressed this matter. The health of the Mystical Body of Christ rests squarely on the virtue of obedience. Without obedience, any organization will fall apart. In light of what we just learned, what should we, as Catholics do? For pastors the course is clear, obey the clear command of Pope Saint Pius X, a command which is repeated in the Code of Canon Law and by Pope Pius XI. Indeed instructing the faithful in the faith is a solemn duty of all who have the pastoral office. Pope Saint Pius X in Acrebo Nimis, only provided specific instructions on how this should be carried out. All pastors of souls should study the whole Encyclical, as it gives other instructions on their duties. For the rest of Catholics, the course is also clear. Do not wait on your pastor to instruct you, but begin studying yourself. 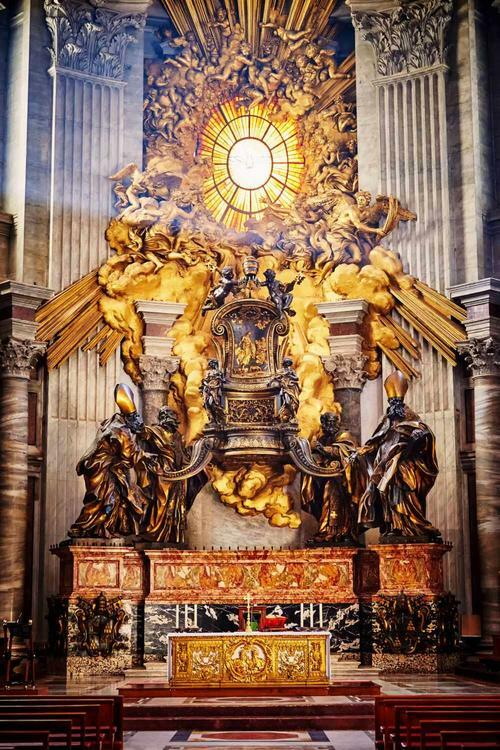 We believe that every Catholic should know the faith at the level of the Roman Catechism, which is also called the Catechism of the Council of Trent or also Catechism of the Catholic Church: Trent Edition. This catechism was prepared after the Council of Trent in the Spirit of Trent for the use of pastors in instructing the faithful. Catholics should especially learn their duties to the Mystical Body of Christ, especially that of obedience to the hierarchy, which is appointed by God over His holy Church. The Great Apostasy was caused by two things. The first was disobedience, which led directly to the second, ignorance of the Faith. Fasting on our own is a good thing, but fasting in obedience to the Church has a double virtue. There is first the mortification of the fast itself. Add to this is the virtue of obedience. September 20, 22 and 23 are the Embers Days in 2017. Let us zealously observe this fast and all of the fasts of the Church throughout the year in holy obedience. God will bless this fast under obedience and we pray that He will soon end the Great Apostasy, beginning in our own hearts.